Modern and Rustic! 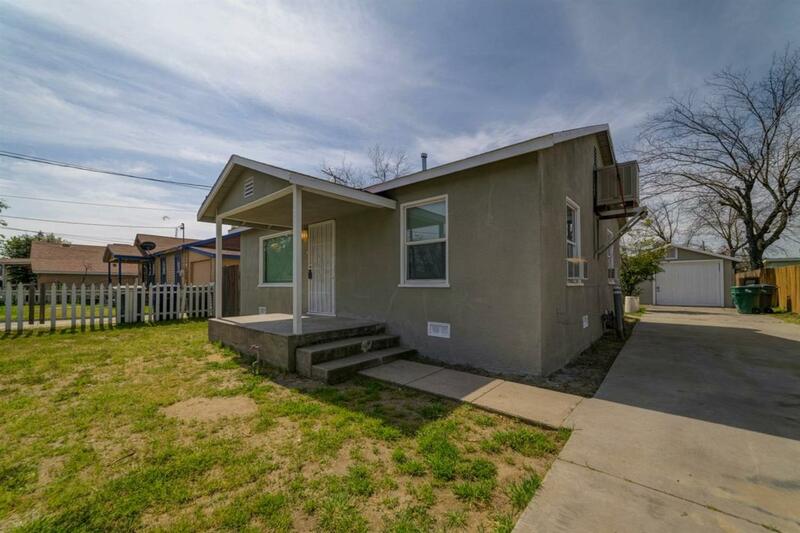 2 bed, 1 bath home is move in ready! New exterior paint with laminate wood floors throughout awaits! 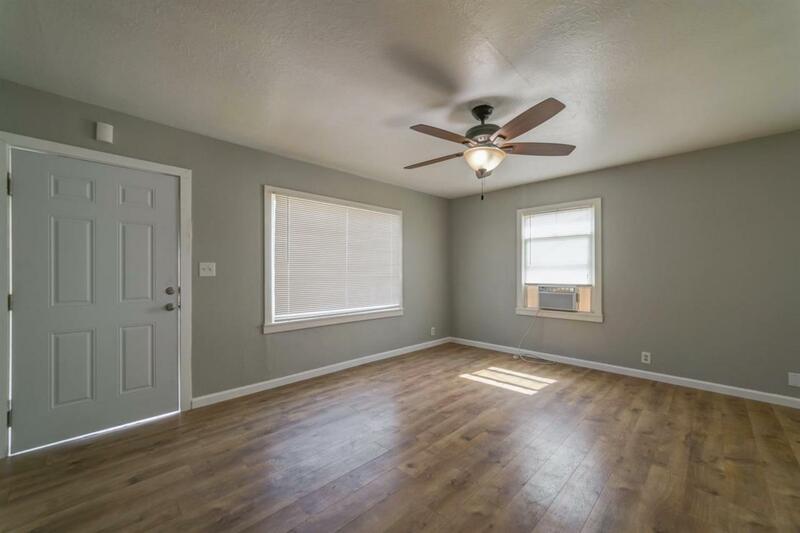 Open livingroom offers newer dual pane windows, ceiling fan and wooden wall decoration as a focal point. Kitchen offers gas stove, modernized cabinets and stainless steel sink. Bedrooms include new doors, newer dual pane windows with window coolers and ceiling fans with remote controls. Full bathroom has a fresh coat of paint and mirror medicine cabinet. Indoor laundry offers linen closet and cabinets for storage options. 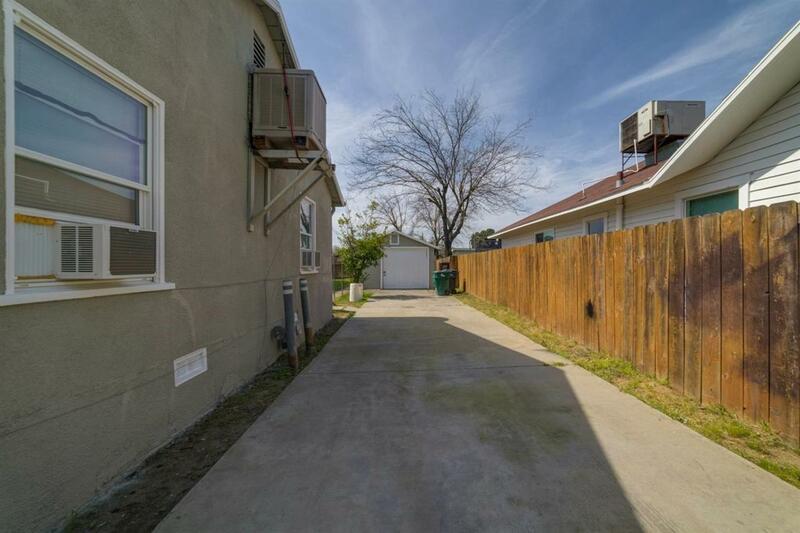 Extended driveway leads to garage and yard area. 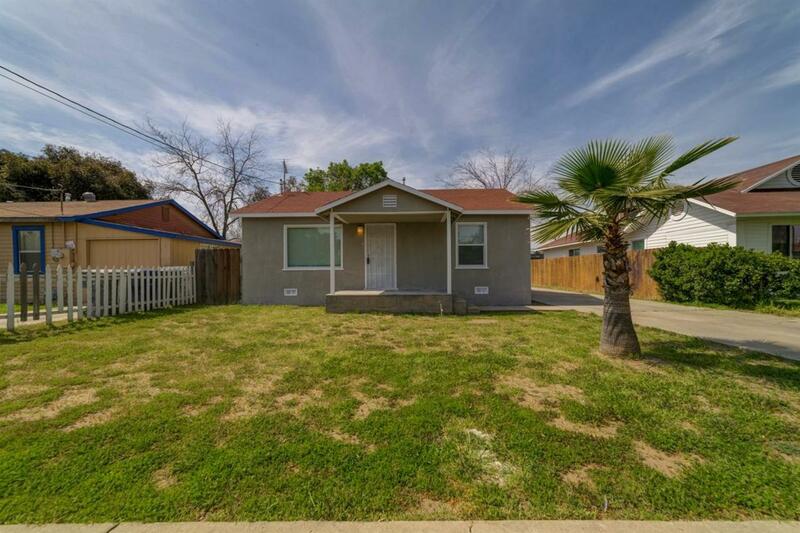 This home is located within walking distance to nearby schools and short distance to major freeway.